What is the Market Price for Cell Site Rent? Landlords are often irked and even angered when they are told that’s not the rate that the tenant wants to pay. They think they’re getting gypped. They don’t understand why this tenant is not honoring the going rate. And therein lies the problem: never confuse the “going rate” with the “market rate.” The last house to sell on my street in San Diego almost a year ago has nothing to do with what a different buyer will pay for my house today. 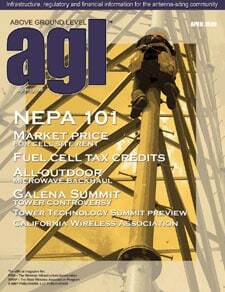 The real market rate for cell site leases is not what another tenant paid down the street. In today’s business environment, it’s what the competing potential landlord across the street will accept. Thanks to carriers’ escalating operating costs, the public’s voracious appetite for new technology and the network’s evolving engineering requirements; cell site leasing has become a competitive marketplace. Let’s take a look at what landlords can do to protect their income. For years it has been said that the going rate for a cell site lease is roughly $1,500 to $1,800 for space on a tower or rooftop and $500 to 600 for ground space to build a tower. Obviously, this varies widely depending on a downtown Manhattan location vs. rural farm land. But this dollar amount represents the “average rent” that tenants have been willing to pay over the last several years in a market where speed and coverage were a carrier priority, the high costs of which were off-set by an ever-increasing number of subscribers. With subscribers now reaching market saturation in tandem with escalating operating costs to meet technology demands, carriers are reevaluating their expenses and what they’re willing to pay for their cell site leases. Add to that new technology and network evolutions that have redefined “the best site in town,” and you’ve got a new model that will change the business of cell site leasing. This dynamic is slowly but surely redefining what is market rate rent. The anatomy of the cell site network is rapidly changing to accommodate a progression in services that started with voice communication and now include email, photos, music, video and more. This network evolution has redefined what “the best site in town” looks like, which dramatically affects the supply-and-demand formula of lease rates. In negotiating leases on behalf of tenants, the most common response we at Md7 hear is, “Another carrier just paid $X down the street so I want at least $X”. But the variables of site selection are unique to each site and situation. Historically, tenants have focused on quick deals for “must have” locations as determined by radio frequency needs, rather than good deals. This has resulted in short cutting the negotiation process which determines the market equilibrium. The saying “you want it bad, you get it bad” characterizes the situation carriers have created for themselves – over-inflated rents. Carriers are now beginning to mange their real estate assets with the same savvy indicative of corporations focused on maximizing their investments and minimizing their operating costs. As one tower landlord told us when he saw a surveying crew staking out a site on his neighbor’s property, “I would have to look at that tower every day on my neighbor’s property, so I might as well do what it takes to get it on mine and get paid for it.” With over 200,000 cell sites and counting across the country, it may take a lot of deals to lower the average rent. But it is changing — one deal at a time.